Will the doctors refer me to another practitioner if they feel like surgery is not necessary? Yes, our doctors will make a personalized assessment specific to your condition and provide recommendations for the most minimally invasive or conservative treatment options. Are you a neurosurgeon or a neurologist? What’s the difference between your office and a neurologist office? 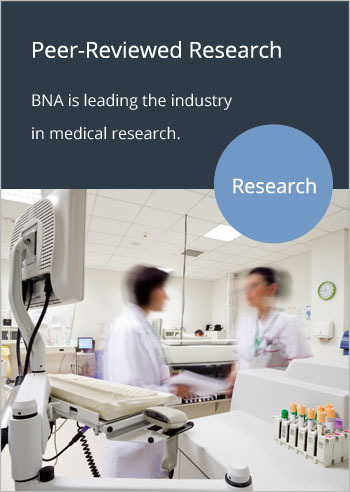 BNA is a neurosurgical practice. A medical doctor trained in surgery of the nervous system and who specializes in surgery on the brain and other parts of the nervous system is referred to as a neurosurgeon and sometimes called a brain or spine surgeon. A neurologist is a doctor who treats patients suffering from conditions affecting the nervous system which encompasses the brain, spinal cord, nerves, and muscles. Can I see a specific physician? We just need to look at their schedule to find the next available appointment. If that is not soon enough, we will inform you of the next available appointment within the practice. Each of our doctors are trained in minimally invasive and complex spine and brain surgery and treat an extensive variety of spinal disorders. I have multiple conditions, can you treat me? Absolutely! Our surgeons treat all kinds of spinal disorders and after they have a chance to review your films they will be able to tell you exactly the right procedure that is perfectly tailored for you. Can I have directions to the Avista, Lafayette, Boulder, Longmont, Platte Valley office? How far out are you booking office visits, and how soon can I have surgery? We have several locations and physicians. The date of your office visit will depend upon which surgeon you will see, which days they are holding clinic at which location, as well as the availability. What do I have to do before my appointment? You will need to bring the following items to your office appointment: x-rays, MRIs and CT scans, co-payment, your insurance card (List of accepted insurance) and photo ID. You will receive a link in an email which will direct you to Patient Portal to complete the required paperwork. Please bring the paperwork to your appointment. If you don’t have access to a computer and it’s your first appointment with BNA, please arrive 30 minutes prior to your appointment time or 15 minutes if it’s your follow-up appointment. Prior to surgery, you will be pre-registered at the facility where the surgery will take place. The facility will have a copy of the needed blood work, EKG and x-rays as ordered by the physician or PA. You will need to bring any radiology films (MRI, CT scan, x-rays) with you the day of surgery or it will be canceled. If you smoke, you need to stop smoking prior to surgery. You need to stop all blood thinning medication prior to surgery. Aspirin and Plavix must be stopped 7 days prior to surgery. Motrin/Advil/Naproxyn/Naprosyn should be stopped 3 days prior to surgery. You should also stop herbal supplements 5 days prior to surgery. Make sure your primary doctor or cardiologist is aware of the plan to stop Aspirin/Plavix/Coumadin or Warfarin. You cannot eat or drink anything after midnight, this includes, food, water, gum, candy, lozenges, and coffee. All of this information is included in the surgical packet that you were given. What am I supposed to do before my follow up appointment? Please make certain that you obtained all of the tests that were ordered by your doctor and bring them with you to the appointment. If you need our help obtaining the results of these tests, we are happy to do so. Do I have to have a consultation before I have surgery? Can this be done in the office? Yes, all patients need to have a consultation before they can have surgery. Consultations can be done in the office. If patients have been admitted to the hospital or in the Emergency Department, the consult can happen in the hospital setting. Do I have to have surgery if I come in? Many patients that see us do not need surgery. Our doctors can often offer a solution to your problem that doesn’t require surgery. If you do need surgery we will discuss your options and you will make the decision about whether to proceed with their recommendations or not. How long before I can get scheduled for surgery? That depends on the type of surgery you will have. We will work with you to find the right time for scheduling surgery. We book surgeries several months in advance for some patients and others proceed to surgery the same week. We try to work hard to do what’s best for you. My case is complex, why can’t I see a doctor instead of a PA for my follow up? Our PAs each have multiple years experience working in health care and neurosurgery. Sometimes the surgeons are scheduled for surgery and not available when a follow up visit should be scheduled. Also, it is our policy to determine which cases should be seen by a PA rather than a physician based on the complexity of the case and the experience the PAs have in seeing patients with certain conditions. I was previously a patient of one of the BNA doctors, can I come and see another BNA doctor for a second opinion? While each of our physicians are equally skilled and qualified, we understand that different dynamics contribute to the patient deciding to move forward with treatment. Our surgeons are more than happy to provide second opinions to patients who have seen another surgeon within our practice. However, your insurer will often not pay for a second opinion and therefore this may be an out of pocket expense for you payable BEFORE the second opinion visit. I am a patient and want my friend/spouse/relative to see him. Is it possible to get an order for an MRI for them before they see the doctor? Each case is unique and patients should have their films in hand at the initial appointment in order for the doctor to make an accurate diagnosis. If a referring physician has not ordered any films for you, we will have to take down some information and provide that to one of our doctors to determine if an MRI should be ordered and completed before your first appointment. I live out of state OR I live at least four hours from all of your office locations. I would like to speak to a surgeon before I decide to fly or drive to you, what are my options? We have a FREE MRI Review program for individuals who live a significant distance from any of our clinic locations. For the review process, you will need to provide us with a summary of your symptoms and a CD with recent (less than 6 months old) MRI. You may also submit an electronic form through our Web site and you will be contacted and provided with more information on the process. When will I receive my new patient paperwork? When you call to make an appointment, the appointment scheduler will email you a link, which will direct you to Patient Portal to complete the required paperwork. Please bring completed paperwork to your appointment, or arrive 30 minutes early to complete it. New patient paperwork is also available on the patient portal. Do I have to complete a survey every time I come in? BNA would greatly appreciate you spending a few minutes to complete any surveys. We pride ourselves on conducting clinical research to challenge the latest technologically advanced treatment options in order to benefit current and future patients. What are my risks during this surgery? I take medication for high blood pressure. Will this be controlled during the surgery? What will happen during surgery? We suggest that you bring all of your questions to your pre-surgery appointment where many of these questions may be answered when you are completing your consents. Your surgery packet contains details specific to the surgery you will have. Discharge instructions include how to prepare for surgery, what to expect after surgery, FAQs regarding specific procedures and instructions on how to care for your body after surgery. After my surgery, how will the pain be controlled? The medical staff will assess your condition and the procedure you had in order to prescribe an appropriate pain medication. Will I have any limitations after the surgery? Will I be able to drive, do housework, etc.? Every patient’s case is unique. Your surgery packet contains details specific to the surgery you will have. Discharge instructions include how to prepare for surgery, what to expect after surgery, FAQs regarding specific procedures and instructions on how to care for your body after surgery. Will this surgery be final or am I looking to have surgery again in the future? Each person, procedure, and a combination of both are unique to each individual. If your diagnosis did not detail the necessity for follow-up procedures, a follow-up visit will allow the medical professional to determine if any further surgery is needed. Where will I go for rehab? This depends upon your procedure and results as well as your location of preference. We work with many rehabilitation providers and will discuss your options at your follow up visit. Will I continue physical therapy after my surgery? This depends upon your surgery outcome and progress upon discharge. You will be informed of next steps at your follow up visit. How soon after my surgery will I be able to shower? Your surgery packet contains details specific to the surgery you will have. Discharge instructions include how to prepare for surgery, what to expect after surgery, FAQs regarding specific procedures and instructions on how to care for your body after surgery. Will I be able to continue with my vitamins and medicine? If so, how soon? How long can I be expected to be in the hospital? Each person, procedure, and a combination of both are unique to each individual. Your surgeon will determine this while they are monitoring your condition. How do I get copies of my imaging? You can go to the medical records/imaging department of the hospital where your images were taken and sign a medical release to get a copy of your images. Can I get my medical records faxed to another doctor? Yes, but often you need to sign a medical release form to allow our office to send your medical records to another office. We do not charge patients for a copy of their medical records or for them to be sent to another medical office. However, if you are requesting medical records be sent to a non-medical facility, such as an attorney the following fees apply: for 1 to 10 pages the fee is $16.50; For 11 to 40 pages the fee is $.75 for each page; and for 40 or more pages the fee is $.50 per page. Can you send me my records from a different doctor’s office? Not typically. Although we often have specific records that are sent to us regarding the patients that we take care of, we do not keep thorough medical records on each patient from their primary care offices. We would recommend that the patient contacts the medical office of where the primary records are kept and obtain the records directly from them. We do not charge patients for a copy of their medical records or for them to be sent to another medical office. If you are requesting medical records be sent to a non-medical facility, such as an attorney the following fees apply: for 1 to 10 pages the fee is $16.50; For 11 to 40 pages the fee is $.75 for each page, and for 40 or more pages the fee is $.50 per page. When should I expect my medical records? We will distribute your medical records where directed within 72 business hours from the request date. How do I arrange a deposition and how much does it cost? You will have to obtain this information from the law firm that is requesting the deposition as they schedule depositions and charge rates determined by their office. Do you do radiologic procedures (x-ray/MRI/CT) in your office? We do not have the ability to conduct radiologic procedures in any of our offices. However, each of our offices is located on the campus of a hospital and per diagnosis from our office, we can arrange for you to have these films taken at a number of locations. I have not had an MRI, do I need one to come in to see the doctor? Most patients have had their MRIs prior to the visit which can make the visit more meaningful, but our doctors order MRIs for individuals who are patients as well. We are happy to see you and order the right tests. Can I have the results of my MRI? Our providers frequently order imaging tests such as MRIs and x-rays. We do not give out the results of these tests over the phone. They often require a thoughtful and time-consuming review that should be done in the context of a patient visit. We would ask that you schedule an appointment to go over these tests so that we might show them to you and try to answer your questions. Why wasn’t I invited to look at my MRI on the computer? You are always welcome to review your MRI during an appointment. If the provider you meet with forgets to offer please feel free to ask. I was never told about my images/films/CDs where they go after surgery? Your images will be housed at the location where they were taken. Whatever films you provide to us will be on file at the BNA office location where you were seen. However, we cannot ensure the films we have are your most recent, or that they are a complete set, therefore it is recommended you go directly to the source who took the images. Why haven’t I heard back regarding my prescription? It can often take 24 to 72 hours turnaround time from the first time the office is contacted until the prescription is called into the pharmacy because several of our physicians spend their day divided between clinic and the operating rooms. Please always plan ahead when a refill on a medication is required so that there is ample time for the physician team to respond in an adequate and timely fashion. I was prescribed medication that I am allergic to. Please call the prescribing doctor or doctor’s representative for an appropriate prescription. If it was prescribed by one of our doctors, please let us know the medication name and any other medication allergies you may have and we will forward this information on to our provider and we will do our best to find a medication that will work for you. Please provide us with your preferred pharmacy information. I am out of my pain meds and I don’t have a primary care physician. I didn’t have surgery with your office, can I get one more prescription until I find someone? Although each case is handled on an individual basis, our office does not typically prescribe medications for patients unless they have had surgery and even in those cases the length of prescribing medications is often limited. We would recommend getting a PCP or a pain doctor to help with these situations before they become a problem. What is your medication refill policy? Discharge information is included in your surgery packet, as well as on our website, click here. Will the hardware in my neck cause any problems at the airport when I go through security? No, hardware in the body will not cause any problems when going through security. When can I get my hair colored/dyed after a brain surgery? We typically like you to have you seen by your surgical team in follow-up before proceeding with any type of hair treatments other than a simple wash, shampoo, etc. When can I get my teeth cleaned? Do I need to be pretreated with an antibiotic? Please follow this link to get more information. YES, if you have dental work done within 24 months of the surgery. We recommend avoiding routine dental prophylaxis and simple procedures for 3 months following a spinal fusion, but between 4 and 24 months we suggest antibiotic prophylaxis. After 24 months, you will not need antibiotic prophylaxis unless you have a compromised immune system, Type 1 diabetes mellitus, previous infection of a prosthetic joint or a spinal fusion, hemophilia, or malnourishment. The choice of antibiotic is a decision for you and your primary care doctor. Please contact their office for antibiotics or further advice. We are happy to discuss this with them should they need to contact us. If you have a significant immune compromise, Type 1 diabetes mellitus, history of previous infected spinal fusions or joint replacements, hemophilia or malnourishment then we suggest antibiotic prophylaxis for ALL future dental procedures regardless of timing, but this again is something that needs to be resolved through your primary care physician and not your neurosurgeon. If there is any confusion please have them call us. We recommend avoiding routine dental prophylaxis and simple procedures for 3 months following a surgery. If you must have a dental procedure within 3 months then it would be advisable to use antibiotic prophylaxis. We generally do not make recommendations about the choice of antibiotic when using it for prophylaxis, but we would be happy to discuss this with your primary doctor. Most of the time patients can make this decision without our guidance, but please have them contact us if there are any concerns. YES, if you have dental work done within 24 months of the surgery. We recommend avoiding routine dental prophylaxis and simple procedures for 3 months following a shunt placement, but between 4 and 24 months we suggest antibiotic prophylaxis. After 24 months, you will not need antibiotic prophylaxis unless you have a compromised immune system, Type 1 diabetes mellitus, previous infection of a prosthetic joint or a spinal fusion, hemophilia, or malnourishment. The choice of antibiotic is a decision for you and your primary care doctor. Please contact their office for antibiotics or further advice. We are happy to discuss this with them should they need to contact us. If you have a significant immune compromise, Type 1 diabetes mellitus, history of previous infected spinal fusions or joint replacements, hemophilia or malnourishment then we suggest antibiotic prophylaxis for ALL future dental procedures regardless of timing, but this again is something that needs to be resolved through your primary care physician and not your neurosurgeon. If there is any confusion please have them call us. My post-op care was not explained in detail what can I expect? This information was provided in your surgery packet and is also available here. Discharge instructions include how to prepare for surgery, what to expect after surgery, well beingFAQs regarding specific procedures and instructions on how to care for your body after surgery. What if I don’t know my co-pay or do not have funds with me at the time of my appointment to pay my co-pay? Co-pay is due when you check in for your appointment. We are required by law and your insurance company to collect your co-pay at the time of your visit. If you do not have your co-pay you will need to be rescheduled. Can you please tell me if you are in network and/or contract with my insurance provider? We contract with almost all insurance companies. Please click PDF Link to view a list of in-network providers. Your coverage for out-of-network providers will differ among companies, so please contact your insurance provider directly to determine if we are in- or out-of-network. There are numerous insurance plans with different rates. Please address this question to your insurance provider. Do you use a sliding scale for the poor and/or those paying out-of-pocket? Our rates are governed by our contractual obligations with insurance companies and with Medicare. Our physicians are always interested in the well-being of their patients and provide the best possible care without regard to the patient’s insurance or ability to pay. A billing specialist can help you work through this process. Can I make a payment plan for what my insurance does not cover? We can usually formulate a payment plan. A billing specialist can help you with that. Why was I asked to pay for a bill I have never received from your office when I came into your office? We require payments and co-payments at the time of service and for services rendered. If there is an outstanding balance on your account this will be billed at each office visit. However, we will work to accommodate special needs of our individual patients. The cost of an office visit varies depending on the complexity of the problem as determined by our providers. Usually, this cost is governed by our contractual arrangements with insurance companies and Medicare. Do you accept Medicaid and CICP? We accept Medicaid on a limited basis and unfortunately do not accept CICP. Do you have my Kaiser referral so I can schedule an appointment? We will need your name, phone number, and date of birth to locate and verify your referral, after which we can get you scheduled.